Luxuriously chic with metallic hues this champagne crystal pendant takes influence from the 1950s. Coordinate this necklace with matching accessories. Majestic metallic hues give luxuriously chic style to our Luxe Treasure Pendant. 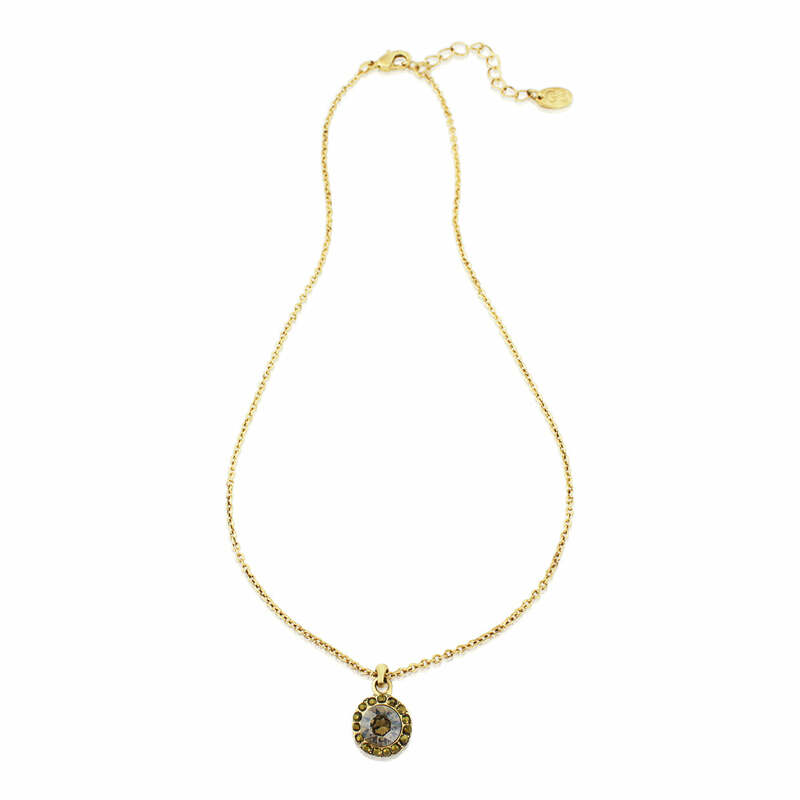 Awash with gorgeous golden shades, a single champagne crystal is encircled by opaque old gilt crystals and set on an antique gold tone chain. 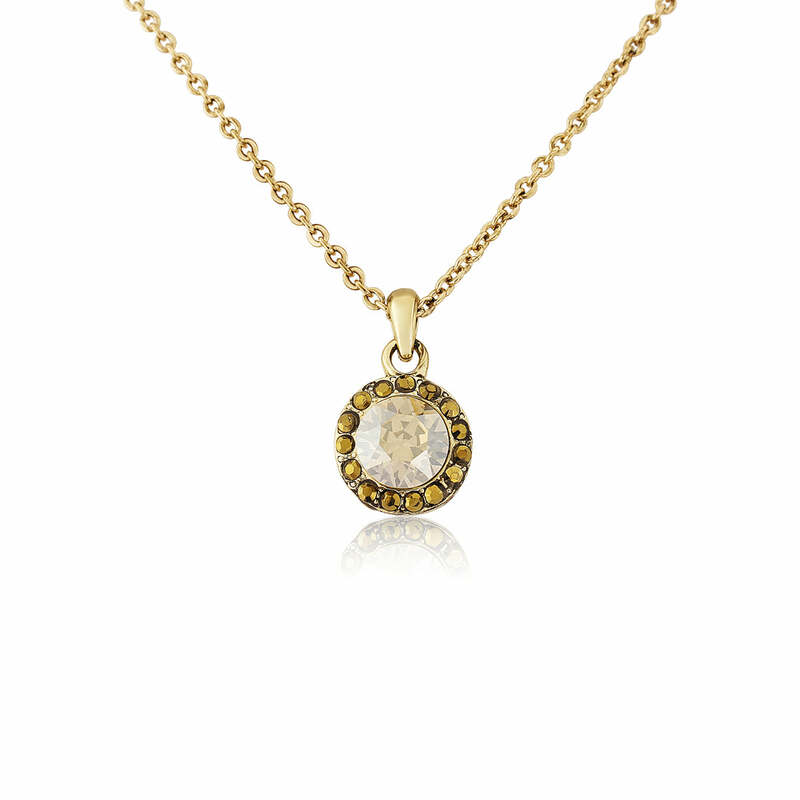 Capturing a wealth of bygone charm in a simple and refined design, this pretty pendant will beautifully complement your gold topaz jewellery and accessorise the warmer colours in your wardrobe with a sumptuous glow. A beautiful gold wedding necklace for brides a wearing an antique lace gown, Luxe Treasure Pendant has an air of heirloom style that is utterly perfect for a vintage bridal look. If you’re looking for gold bridesmaid jewellery to complement a bronze or chocolate brown wedding theme, this little gem will certainly make a much adored gift for ‘maids that will be treasured for years after your special day.